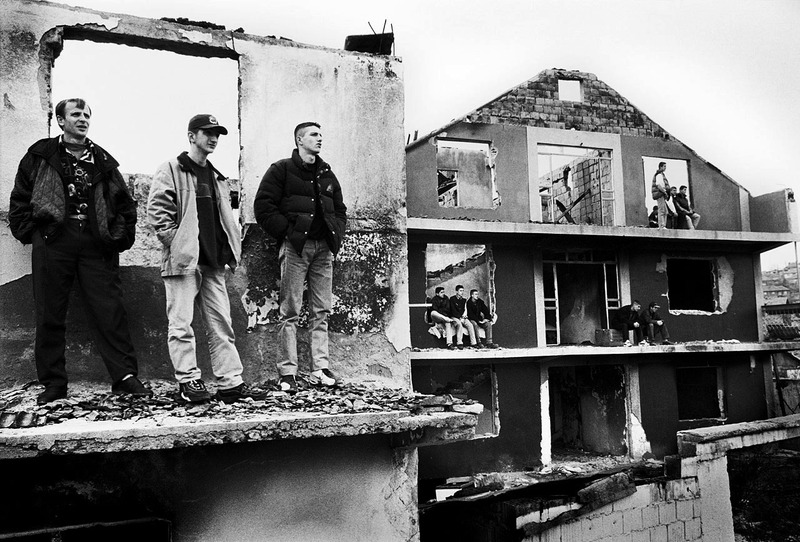 Mitrovica - 2000 A group of young Albanians watch a soccer game from a demolished Gypsy house. When the Albanians returned from exile they took their revenge on the local Gypsies who had helped the Serbs. Some of the Gypsies were killed while others escaped. All of their houses were burned to the ground.